What you’ll need: Soy or Almond Milk (1/2 cup), 1 large potato (washed but unpeeled-slice it up), spinach (1 cup-fresh or frozen), 1 vegan burger patty, Olive oil (1-2 tbsp)Garlic (1 tbsp); onion (1/2 cup chopped). Seasoning: salt, pepper, rosemary (if you wish). First step: Sauté onions and garlic in olive oil until soft. 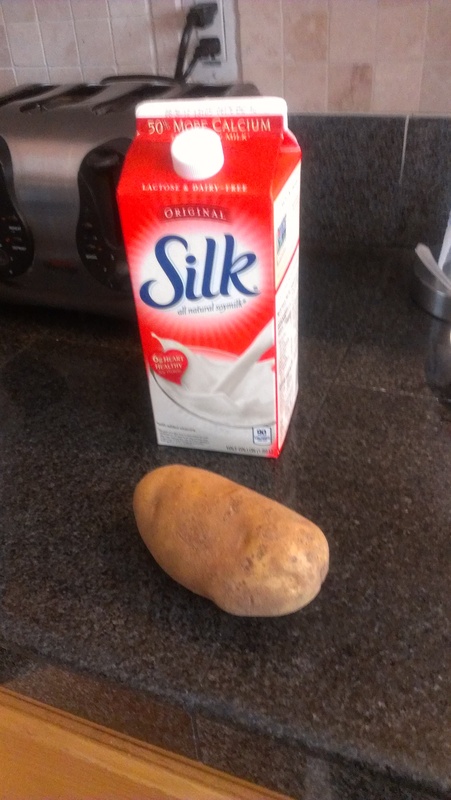 Then slowly pour in Milk. 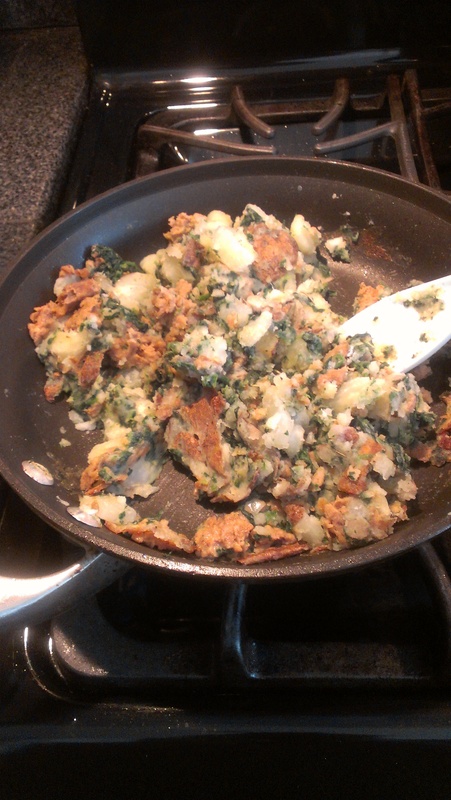 Mix in diced/sliced potato and spinach. 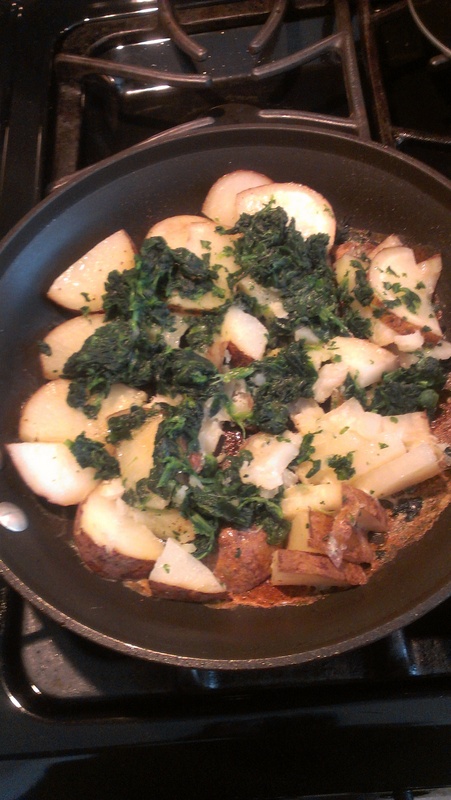 Cover and allow to simmer until potatoes are soft enough to smash (took mine ~ 20 min). 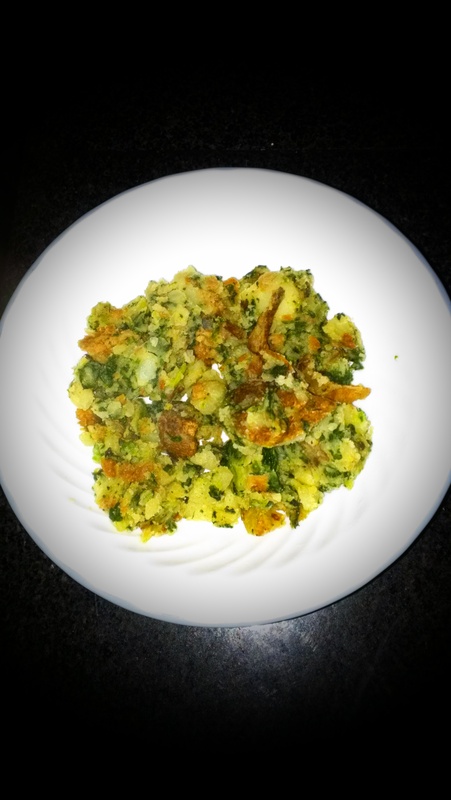 Crumble and mix in vegan burger patty and season to personal taste. ENJOY!! 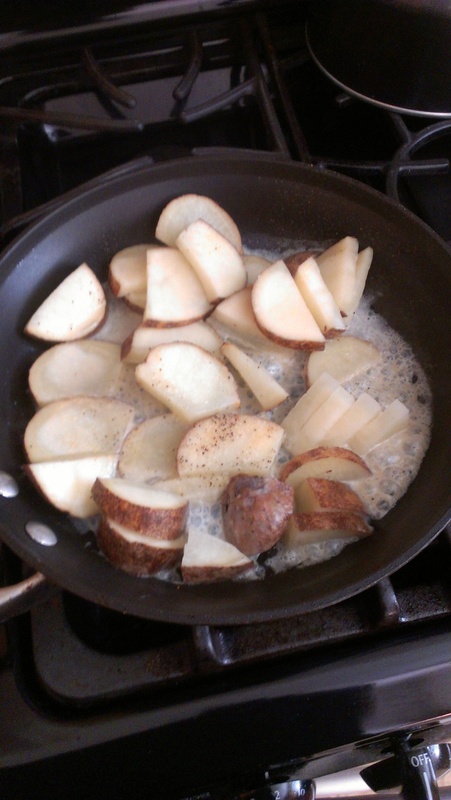 Potatoes are more nutrient rich than you think(but of course everything in unfried moderation). Provides 18% daily value of Iron, 48% Vitamin C, Vitamin B 6 46%, Folate 21%, Thiamine 13%, Potassium 46%, Manganese 33%, Magnesium & Phosphorus 21%. Source: http://nutritiondata.self.com/facts/vegetables-and-vegetable-products/2770/2. 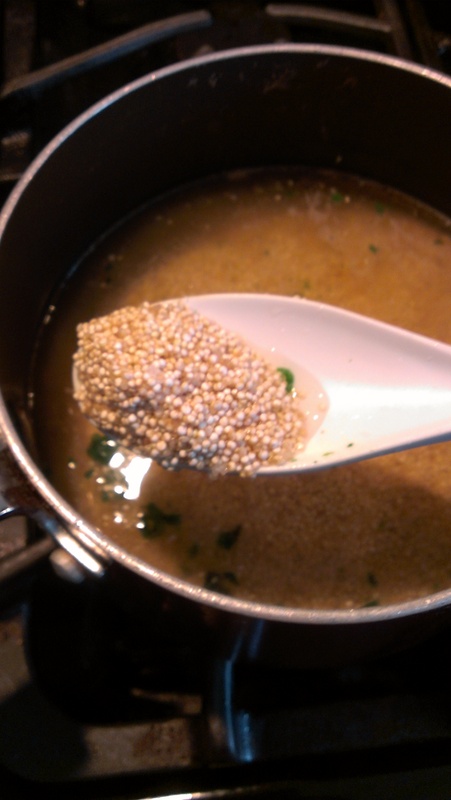 Here’s one of my favorite quinoa dishes….it’s easy. ENJOY! 1 cup quinoa + 2 cups water for ~20-25 min. I add salt, half tsp olive oil, and cilantro. 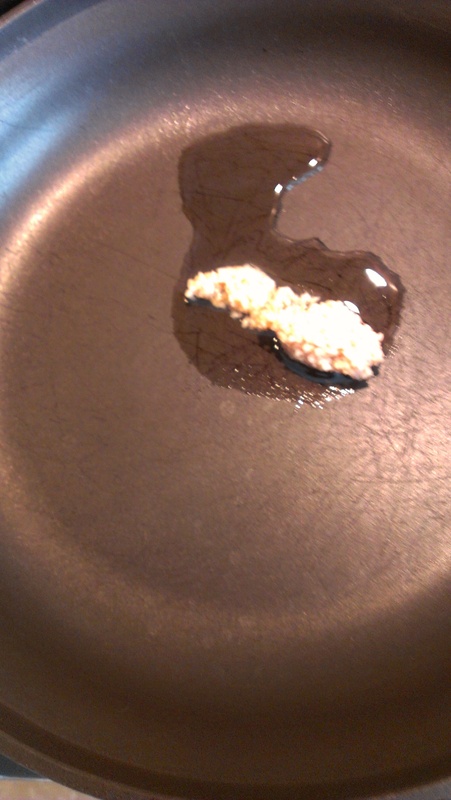 Then: Add garlic to 1 tbsp of olive oil to pan. 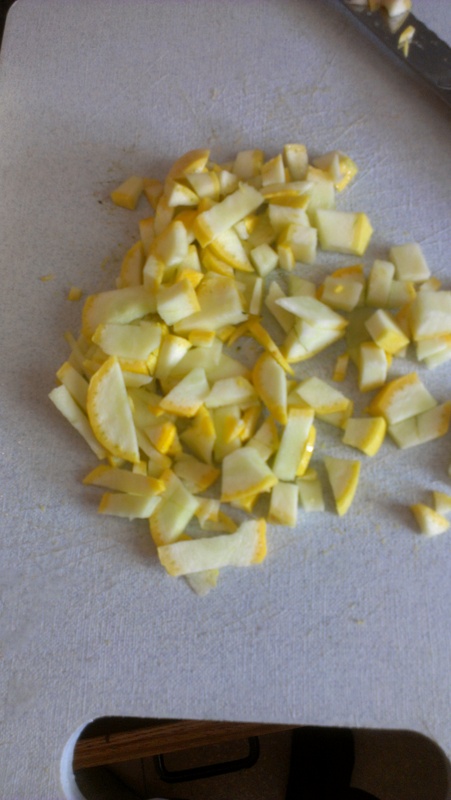 You may also saute chopped onions if you like. Then: Add in chopped veggies and spices. 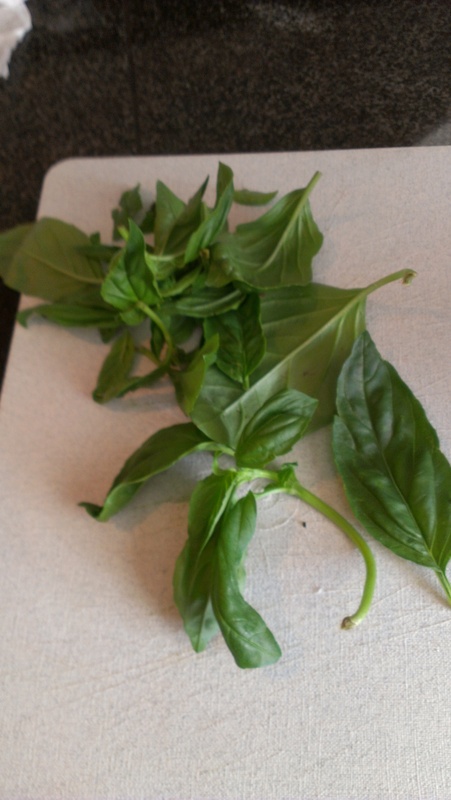 I used squash, fresh basil, and rosemary. 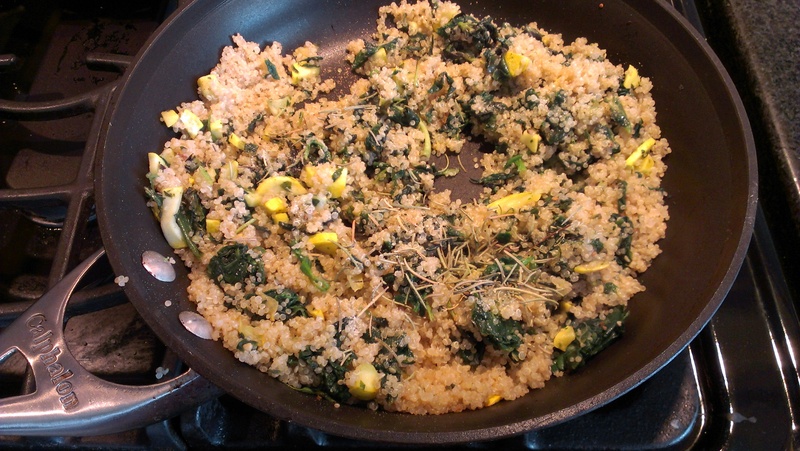 When veggies are soft, add quinoa and season as desired. I use salt, pepper, more rosemary, and onion powder. Optional addition: For a more hearty texture, I added a crumbled vegan burger. 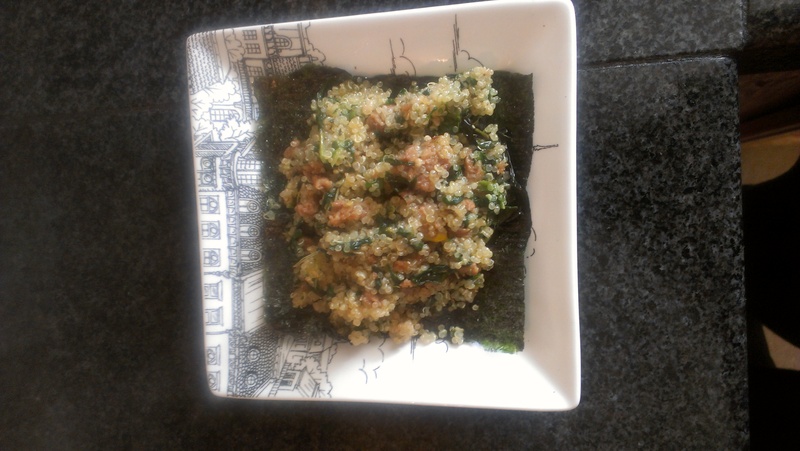 Presentation:A scoop of your tasty quinoa mixture on seaweed is both attractive and delicious.